There are a lot of factors to consider for your care and recovery after a hospital stay. 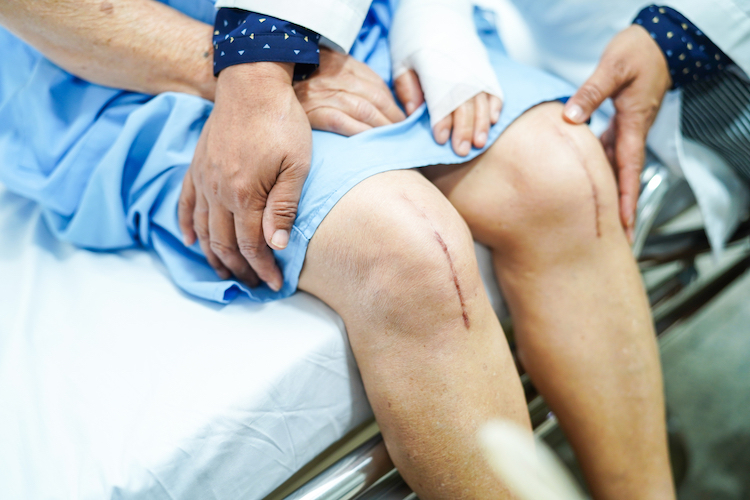 If you’re undergoing a procedure such as shoulder, knee or hip replacement, you may be wondering how to manage your post-surgery care at home. Many patients are quickly discharged after these procedures, without the option to stay extra days at the hospital or receive inpatient rehab services. After you’ve been discharged from the hospital, your risk of medication mismanagement, falling at home and difficulty in meeting your dietary and nutritional needs can increase significantly. Have you considered what support you’ll need to recover at home? Will you be able to move around safely in your home? Who will help you recover after your procedure? Many seniors experience weakness, drowsiness and other side effects after surgery or a procedure, such as dizziness or muscle aches. When caring for your wounds, dealing with nausea, vomiting, and general discomfort are also common side effects to consider. That’s why it’s recommended to have someone providing extra support in case you need it, as it may take a few days or weeks until you feel up to resuming your normal activities. Your dietary and nutritional needs are important to consider in your recovery and post-acute care. Making sure you’re drinking enough water and scheduling your meals to coincide with your medication regimen is vital to your healing after an outpatient procedure or hospitalization. Having someone take care of the cooking and ensure you’re eating properly will be a huge help during your recovery. Caring for your home can be a challenge after being discharged. Depending on the reason for your hospital stay, your mobility may change, making it more difficult to maintain the upkeep of your home. This can impact your safety because clutter and disorganization in your environment increases the risk of falling or other incidents. If your doctor plans to discharge you from the hospital for your recovery, the Transition to Home Suites at Peabody are a great option for seniors who would like the peace of mind that comes from access to a 24/7 nursing staff in a home-like environment. Imagine spending a few days or weeks in a comfortable private suite with the added security of skilled professionals nearby in case you need them. Peabody’s Transition to Home Suites offer just that. In addition to weekly housekeeping services, three nutritious restaurant-style meals daily and complimentary access to the Billie Jane Strauss Wellness Center, you can also receive rehabilitation care services up to seven days a week if you need physical, occupational or speech therapy. You’ll also have access to state-of-the-art aquatic therapy, featuring the healing properties of water, an underwater treadmill and powerful therapy jets to decrease inflammation and accelerate healing. You’ll have all the privacy of home, but with the added advantage of care services and support to ease your recovery. You deserve all the support you need to recover from an outpatient surgery, illness or injury. We invite you to contact us today and learn more about the Transition at Home Suites at Peabody. Our affordable daily rate is just $100 per day and includes access to supportive services and convenient amenities to aid in your healing and recovery. Read more about Dennis, an older gentleman who chose Peabody to heal from knee replacement surgery after realizing he needed extra support in his recovery. If you aren’t quite ready to return home from the hospital after an outpatient procedure, but don’t qualify for an inpatient post-acute care stay, contact us at (260) 982-0808 to see how we can help.